Three Belmont University College of Pharmacy students recently competed at the The American College of Clinical Pharmacy (ACCP) Clinical Pharmacy Challenge. The challenge is a team-based competition where teams of three students compete against teams from other schools and Colleges of Pharmacy. The competition features teams answering questions in a quiz bowl format. A total of 112 teams from across the country and a variety of institutions competed in this event’s event. 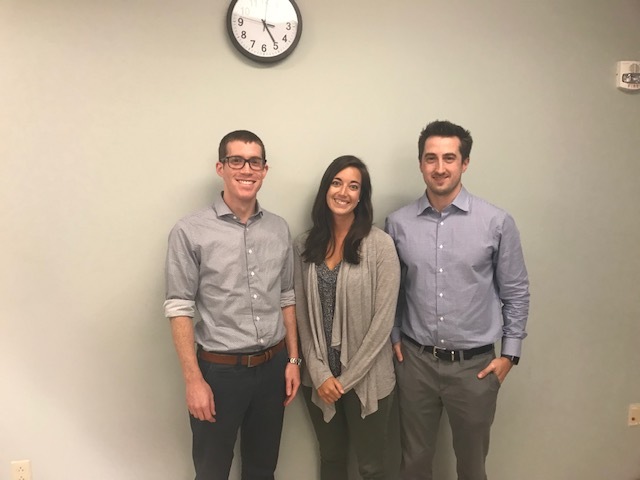 The Belmont University College of Pharmacy team consisted of Nate Berger, Olivia Pardue and Kevin Nofi, all of whom are in their fourth year of pharmacy school. The team made it to the third round of the competition.